The codes in Cash Manager Focus have been created with you in mind. 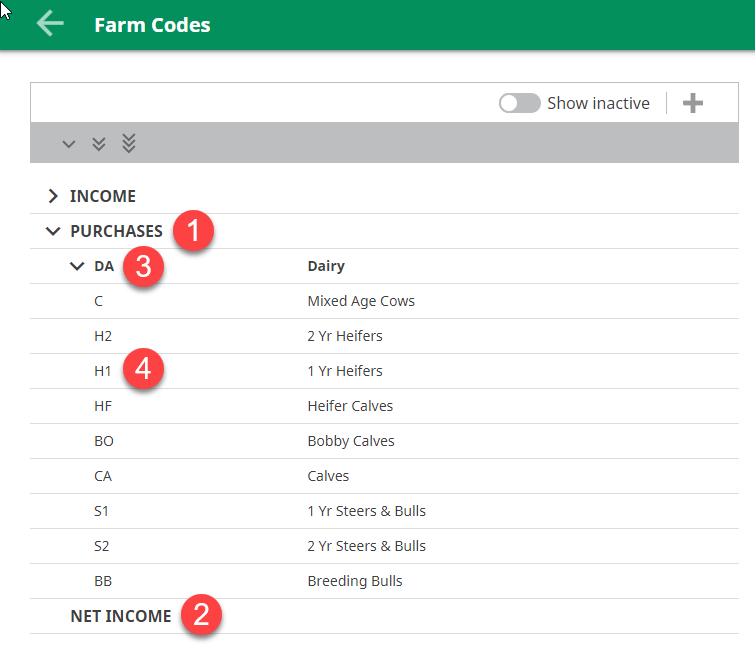 All you have to do is choose a farming template like sheep, beef or dairy and we do the rest. 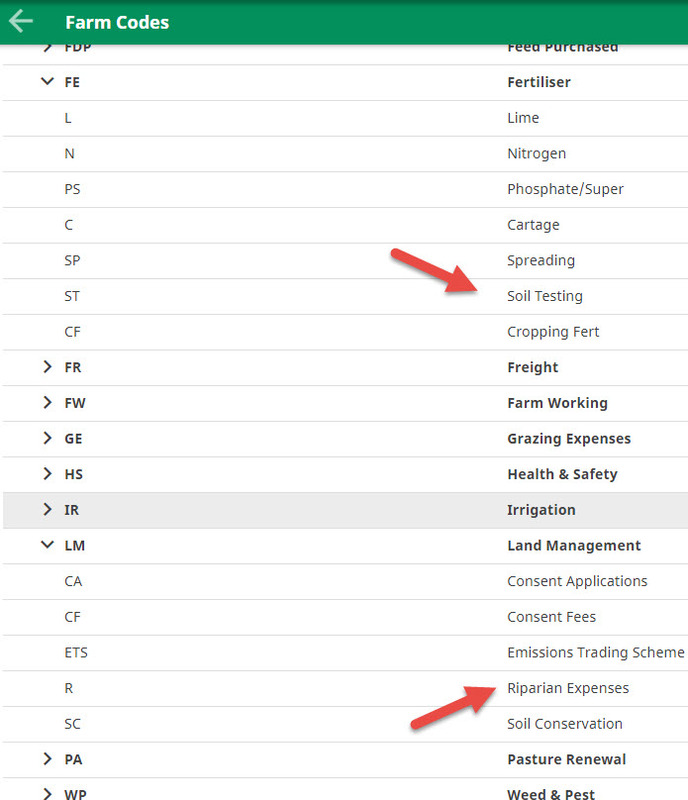 You'll find your code list is geared toward farming, complete with livestock codes for financial and non financial events and other farmer specific coding such as Land Management - Riparian Planting. TIP: Cash Manager Focus allows you to have an unlimited number of codes. However, having too many codes can cause confusion so try to keep your code list as simple as you can. This level groups similar codes together like income i.e. sheep and beef sales, milk production and other farm income. This level create totaling areas for reporting and analysis i.e. total Income minus total Purchases equals Net Income. Are broad management areas such as livestock sales or purchases or animal health costs. Are a subgroup of the category; and offers more detail. For example, repairs and maintenance expenditure that relates to water supply. TIP: Sections, category and extended codes can be re positioned by dragging and dropping the code.